Stoneridge Whistler 1 - 3 Bedroom + Den Townhomes - Experience the ultimate ski vacation when you stay at Stoneridge in Whistler where private amenities abound! Read on to find out how Stoneridge stacks up against the rest. Already know you've met your match? Reserve at Stoneridge Whistler now! Vacationers who stay at Stoneridge in Whistler enjoy the best of both worlds: ski slope access in less than two minutes and close proximity to Village amenities. Walk ten minutes or take the free Village shuttle to find yourself at Skiers Plaza and the start of the pedestrian Village. Walk only five minutes to Blackcomb Base for ski school, gear rentals, retail/spa therapy or a bite to eat. At Stoneridge, you're nearest the number one reason for visiting Whistler: hitting the slopes! Stoneridge has a great ski in/out location without being too far from anything else you'll want to do while on vacation. Do you Need a Car for your Whistler Vacation? Pulling into the carport when you arrive and backing out when you leave is about all the activity your vehicle will have during your vacation. Everything you'll want to do in Whistler is accessible by foot or free shuttle. Free Whistler Shuttle: Hop on the bus at the edge of the parking lot for a free ride into the Whistler Village area. Waiting for the shuttle never takes more than 10 - 15 minutes and riding it only takes 5. Ski Lifts: You're nearest the Wizard Express lift which is half your journey to the high alpine area of Blackcomb Mountain. Access ski trails that lead to this lift in less than two minute's walk from your door when you stay at Stoneridge. Equipment Rental & Ski School: A jaunty five minute walk down the hill brings you to one of the main meeting areas for ski school. Need skis or a board? Pick them up in the same area, inside the Blackcomb Daylodge. Shops & Restaurants: Enjoy the fresh mountain air on your 5 - 10 minute walk to shops and restaurants at Blackcomb Base (closest) or in the Village area (further). Had enough exercise for the day? Take the free Whistler shuttle. Spa: Melt your aches and worries away at one of Whistler's two best spas, just a short walk or shuttle ride away from Stoneridge. The spa at the Chateau Whistler can be found a 5 minute walk down the hill or the spa at the Four Seasons Resort is just a little further down the road. Grocery Store: Cook up a storm using ingredients from Whistler's largest grocery store, just a 15 minute brisk walk, or short shuttle ride away. The IGA supermarket can be found in the Marketplace Plaza. Liquor Store: You've got two choices - the closest being a smaller beer and wine store at Blackcomb Base or looking further for a huge liquor store in the Marketplace Plaza. Choose the closer option and walk there in 5 minutes. Get ready to walk about 15 minutes or take the shuttle if you want the bigger selection. Take a video tour of Blackcomb Base. Click the video icon to the right. Families with Kids/Teens: Enjoy plenty of space with room to breathe. Avoid playing chaffeur - teens can hop on the free shuttle and head into Whistler Village on their own. Younger kids may miss having a swimming pool though. Couples: Smaller units at Stoneridge are perfect for a romantic get-away. Stay away from the noise of Whistler Village in a snowy, tree-lined wonderland complete with private hot tub. Young Adults & Nightcrawlers: Stumbling back to your unit late at night can be difficult. Stoneridge is located slopeside which means you've got to walk up the mountain to reach it. If you don't mind waiting for the free shuttle, it does run until around 3am (in winter) and drop you right near the building. Active Seniors: Have a great night's sleep in a peaceful and quiet location. Greet the next morning ready to go! Ski access is less than two minutes from your door at Stoneridge. Non-Skiers/Riders: Staying slopeside in the winter can be more costly and if you're not skiing, it's probably not worth it. Choose accommodation in Whistler Village or Village North to be nearer all the non-skiing activities like shopping, dining and dancing. Disabled/Handicapped: Some Stoneridge Whistler units have stairs and are not wheelchair friendly. Be sure that you are reserving a single-level unit if you have a group member with a disability. Even still, you may prefer to book accommodation in the Village/Village North area for easy access to the pedestrian walkway. Private Hot Tubs: Nothing beats soaking in a hot tub as the snow falls around you after a hard, chilly day on the hill. What's even better? Not having to wait your turn or until a pesky neighbour departs. Fireplaces: You'll be tired after a full day on the mountain. Cozy up next to the fire with a book, a glass of wine or just recount the day's events - it's a great way to relax. Private Decks: Some Stoneridge decks come furnished with a BBQ. Relax and catch some rays during summer vacations. Reserved Parking Space: Park in your unit's own carport and avoid clearing off your car after it snows! Guest Parking: Extra parking spaces are available in the designated parking area. The Upper Village boasts plenty of fine dining restaurants, high-class boutiques and galleries. However, there are still a few pubs and cafeteria-style eateries to keep those with a smaller budget content. Save time, energy and maximize your time on the hill by staying slopeside with ski in/out access. Enjoy peace and quiet away from the commotion of the Village area. Savour the privacy of having your own personal amenities such as a hot tub, deck and fireplace. Save money on taxis and enjoy a drink too. Free Village shuttle service operates from 5:30am - 3:30am (off-season hours slightly shorter) with a stop just outside the parking lot. The closest restaurant is a 5 minute walk away, not on your doorstep like most Village properties. Whistler Village is a 10 minute walk or free shuttle ride away. In the summer, there is no benefit to staying at a ski-in/ski-out location. You may find yourself jealous of your neighbours who all have access to outdoor heated pools. If you love the location of Stoneridge in Whistler but can't live without a pool, research other Whistler ski accommodation in the Upper Village. Or if you know your dates and exactly what you're looking for, search all Whistler accommodation, setting your own specific criteria. Stoneridge Whistler townhomes range in size from 1 - 3 bedrooms + den and 750 - 1500 square feet. Most Stoneridge Whistler rentals can accommodate up to seven people, but what if your group is bigger? Book multiple properties at Stoneridge and be just steps away from each other, enjoying your own private suites. Can't find enough units available to host your entire group? Consider booking additional units at nearby developments. Plenty can be found within a 100 metre radius of Stoneridge in Whistler. Locate these developments on a Stoneridge Whistler map. Find out about the exact Stoneridge unit you'll be staying in before you commit your hard-earned cash. Every Stoneridge Whistler rental listing includes tons of details and photos. Sneak a peek of each property's interior, down to what you'll see hanging on the walls! View all Stoneridge Whistler Rentals - Just click "Reserve Now" on the specific listing page of your chosen property. Make a quick and easy reservation on the spot with a credit card deposit. Search Stoneridge Accommodation by Date - Perform a Whistler BC lodging search by date, selecting "Stoneridge" under "Development" options. Only see available properties not those just there to tease you. Compare Whistler ski accommodation by development. 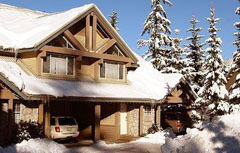 Search Whistler vacation rentals by dates or get even more specific like location, amenities or distance to the lifts. Access all Whistler Blackcomb accommodation, get money-saving tips and learn other ways to save on your vacation! Our Whistler accommodation site isn't just for finding a place to stay. Get Whistler Blackcomb travel planning advice, discount Whistler lift tickets, ski and snowboard rentals and more. When you've had your fill of Whistler discover our direct vacation rentals in other spine-tingling destinations. Own a Stoneridge Whistler Vacation Rental Property? Share your love of Whistler Blackcomb and your beautiful Stoneridge vacation home with guests from around the world. What's better than knowing you've helped make someone else's Whistler dream come true? Realizing yours with less effort than you'd ever imagined! Running your own vacation rental business is easy when you've got the right tools. Your subscription with alluraDirect.com includes sophisticated online reservation management tools that enable you to take bookings while your busy having a life. With a system so easy to use you can manage your rental property from wherever you've got internet access! Discover the rewards of a do-it-yourself rental business and axe nasty commission fees. List your Whistler property today! We started in Whistler and have had so much success we're listing vacation rentals in a variety of other destinations. Think outside of standard rental management or listings site options. Sign-up to take control of your property with our online rental management tools. Reap the biggest financial rewards of vacation home ownership. Join our savvy vacation homeowner community today and empower yourself to take control of your property and your profit!